An expensive and high-profile development in Rochester, Minn., is dead. Representatives from the Abu Dhabi-based developer, Bloom Holding, said late last year they might scale back their plans, and then failed to meet a city deadline to say how they planned to move forward on the property. 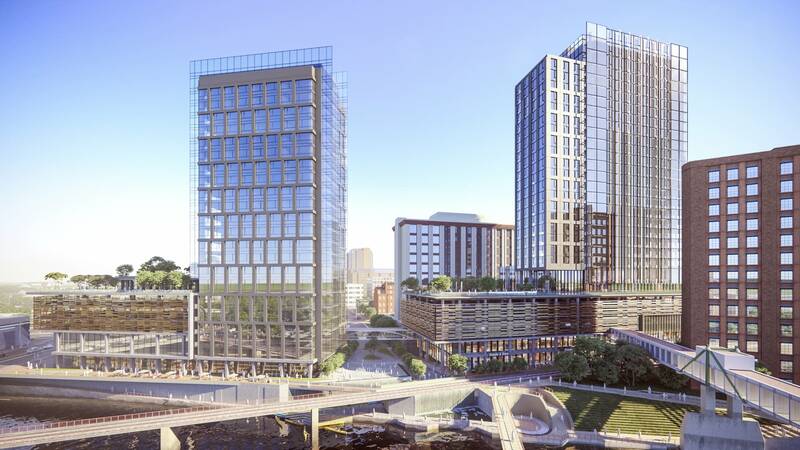 The $230-million project would have put condo, retail and hotel space on a plot of city-owned land on the banks of the Zumbro River. The project would have been the largest private investment in the taxpayer-subsidized Destination Medical Center economic development plan. Officials with the city and the medical center had touted the project as the type of 'big-league' investment the city seeks to attract as it grows. But after four years, the project had changed several times and failed to get off the ground, frustrating city staff and elected officials. Others more recently soured on the project's record-setting $18-million tax subsidy. City Administrator Steve Rymer said starting from scratch represents an opportunity. "It's a time to step back. What is our vision for this? This is a primary development opportunity for Rochester," Rymer said. The center's board chair R.T. Rybak said he once considered the project a "home run." "Too bad. So sad. Let's go do something better," he said. City and Destination Medical Center officials are mulling next steps for the property and will likely seek new proposals for the site. Meanwhile, nine other Destination Medical Center-related developments are expected to open this year valued at more than $300 million in private investment. Separately, the center's board Tuesday gave city officials the go-ahead to begin work on developing two new transit hubs in downtown. The proposal is to transform an existing Mayo Clinic parking lot in the northwest and a section of the county fairgrounds in the southeast into what officials are calling mobility hubs — like fancy park-and-rides with retail, housing and other amenities. Rochester is revamping its transportation system to keep cars off the road and boost public transportation as part of the Destination Medical Center. By 2040, the city aims to reduce commuting to downtown by car from seven in every 10 trips to about four in 10. City and Destination Medical Center officials say advancing the hubs is a big step forward in overhauling the city's transportation system.